Queen's Harbour Yacht & Country Club in Jacksonville, Florida. 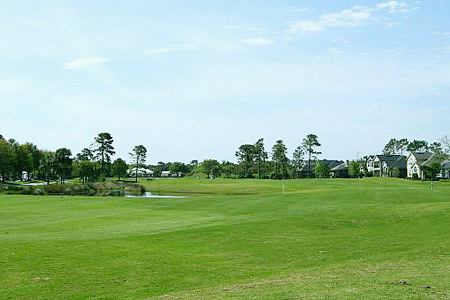 Queen's Harbour Yacht & Country Club is a picturesque golf and yacht community built around a freshwater yacht basin bordering the Intracoastal Waterway near Jacksonville Beach. Perfect for the boating enthusiast, Queen�s Harbour Yacht & Country Club stands as one of Jacksonville�s original and most enduring symbols of exclusive, luxurious estate-home living. Many homes offer sweeping vistas of the Intracoastal. Others are located on the deep fresh water lagoon that is connected to the Intracoastal via an ingenious navigational lock system. Still other homes are located along the green fairways of the 18-hole championship golf course that's one of the top-rated courses in North Florida. Well elevated and covered with enormous oak trees, dripping with Spanish moss grace the Mark McCumber Royal Course, a masterpiece chiseled out of 1,000 acres of native woodland and surrounding marsh. The breathtaking magnitude of the par 72 course provides a challenge that is appreciated by professionals and amateurs alike. With amenities to suit every sports enthusiast, Queen�s Harbour offers a vast array of excellent sporting facilities, including eight lighted tennis courts, a junior Olympic-sized pool and spa, fitness center, playground, soccer field, volleyball and basketball courts. There is also a competitive swim team, tennis clinics, fitness classes, and kids camp. The Old-Florida design of the Queen's Harbour clubhouse features an elegant portico, sweeping verandas, dining rooms with breathtaking views of the lush, manicured grounds and marina. The 59-slip marina is located in a 120 acre freshwater lagoon that offers direct access to the Intracoastal Waterway by a unique navigational lock system. The lock will accommodate all size vessels, from personal watercraft up to a 100' yacht. Residents may enjoy having their boat close to home, which offers the best opportunity to get away from it all, at a moment�s notice. Queen's Harbour is truly one of the most beautiful communities in the entire area. This deveopment features 925 luxury homes from the $400's to $4 million plus. 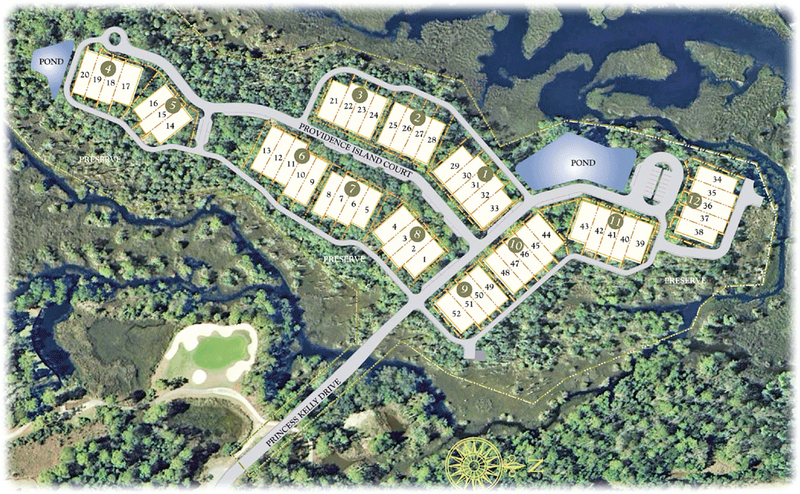 Homesites are also available from the $180's to $900's. Providence Island at Queen's Harbour is a new townhome living concept with 2 car garages. Inspired by the spirit of Tuscany, Providence Island is appointed with style and elegance crafted on one of the property�s best and last parcels. Choose from a studio, two- and three-bedroom townhomes priced from the upper $70's to the mid $600's. Click to see sitemap. Community builders are Arbor Builders, Arthur Rutenberg/World Coast Builders, Brylen Homes, David Weekley Homes, Designer Showcase Homes, Erwin Builders, Fasanelli Developers, GBN Construction, Gerald Bishop Construction, Millan Builders, Panitz Signature Homes, Poimboeuf Homes, Providence Homes, Rosewood Homes, Signature Homes & Development, Treasure Hoems, Vintage Group and Waters Brothers.